1. 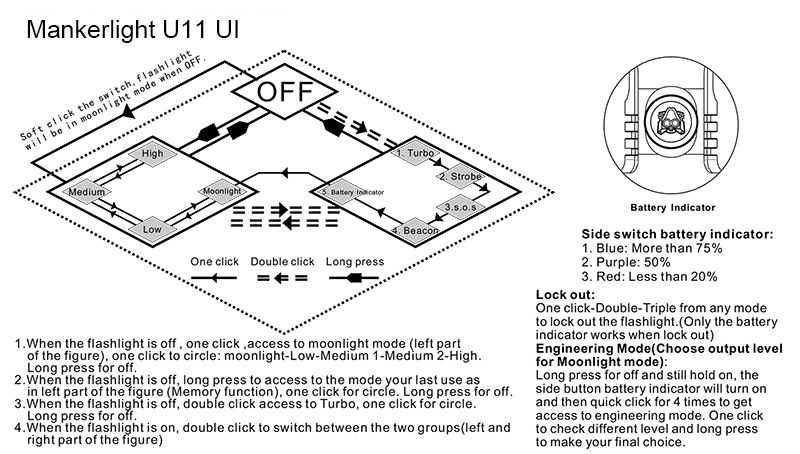 When the flashlight is off, one click, access to moonlight mode (left part of the figure), one click to circle: moonlight - low - Medium - High. Long press for off. 2. When the flashlight is off, long press to acess to the mode your last use as in left part of the figure (Memory function), one click for circle. Long press for off.